"This book is something of a publishing miracle—never advertised, yet year after year selling many thousands of copies from its Internet site." For information on the authorized Chinese translation, click here. 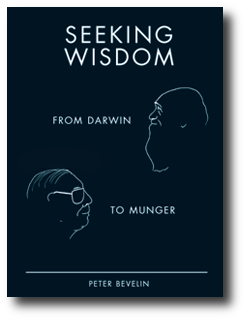 Seeking Wisdom is a hard-cover volume approximately 328 pages in length and perfect for those who love the constant search for knowledge. Using exemplars of clear thinking and attained wisdom, Bevelin focuses on how our thoughts are influenced, why we make misjudgments and tools to improve our thinking. "When I see memos from Howard Marks in my mail, they're the first thing I open and read. I always learn something, and that goes double for his book." 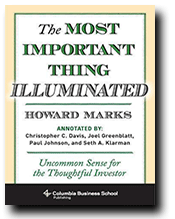 "Few books on investing match the high standards set by Howard Marks in The Most Important Thing. It is wise, witty, and laced with historical perspective. 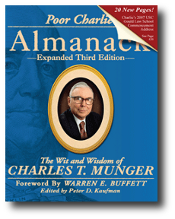 If you seek to avoid the pitfalls of investing, you must read this book!" 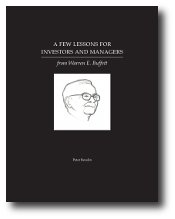 A Few Lessons for Investors and Managers is a hard-cover volume of 81 page chock full of Warren Buffett’s useful and timeless wisdom. 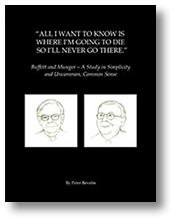 "I think you’ll also like a short book that Peter Bevelin has put together explaining Berkshire’s investment and operating principles. It sums up what Charlie and I have been saying over the years in annual reports and at annual meetings."